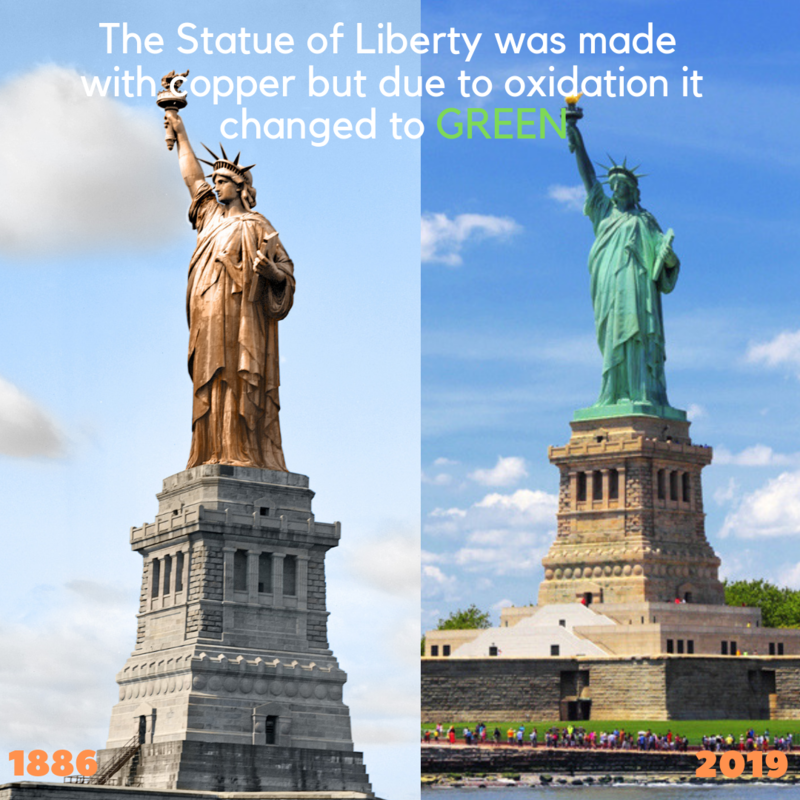 The Statue of Liberty was made with copper but due to oxidation it changed to green 1886 2018. The Statue of Liberty is coated with a thin layer of copper, which turns a blue-green with age due to chemical reactions between metal and water. This process is known as patination and occurs with most copper when it’s placed outside. The true color of the Statue of Liberty before patination was a shiny reddish brown color.